ahhhhh the drinks of summer. iced coffee, lemonade and iced tea. yum. i recently purchased a new iced tea maker. 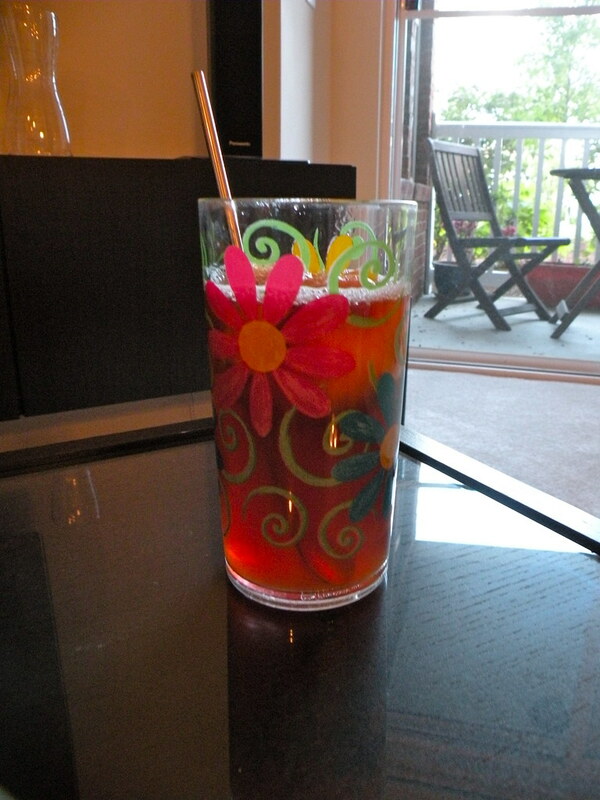 our little patio doesn’t get enough sun to make sun tea in the jar, so i had to revert to the iced tea maker. i also picked up a few of these spoon-straws on our trip to crate & barrel in atlanta. place two scoops of peach sorbet into a glass. pour iced tea over sorbet. stir. you may want to sweeten the tea slightly with some splenda. i enjoyed tea unsweetened for this recipe. That looks yummy and refreshing!!!! Maybe we’ll have to have some when you come down! !